Indecent assault: Do you recognise this man? Police have released an e-fit to help track down a man who indecently assaulted a 19-year-old woman. On May 5, at around 6.20pm, the victim was walking along Bradwell Common Boulevard near the junction of Streatham Place, when she was approached by a man. He engaged her in conversation before indecently assaulting her. 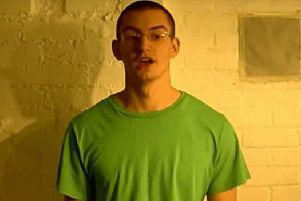 The offender is Asian,about 5ft 8ins, aged in his late teens or early twenties, slim with broad muscular shoulders, straight brown hair, with a fringe. He was wearing dark blue jeans, a jacket and a T-shirt. Designated Investigator Samantha Arnold said: “We take all reports of this nature extremely seriously and we are conducting a thorough investigation. “I would like to speak to anyone who may have seen or heard anything in the Bradwell Common Boulevard / Streatham Place area that evening. “If anyone who recognises the man in the E-fit or who has any information which could help to identify the offender, please get in touch. If you don’t want to speak directly to the police contact Crimestoppers anonymously on 0800 555 111 or online at crimestoppers-uk.org.